Lorenzo Senni, who coined the term “Pointillistic Trance” to define his approach on Quantum Jelly, is described as a sadistic scientist that is ripping the spinal cord out of trance and dangling it in front of our eyes. 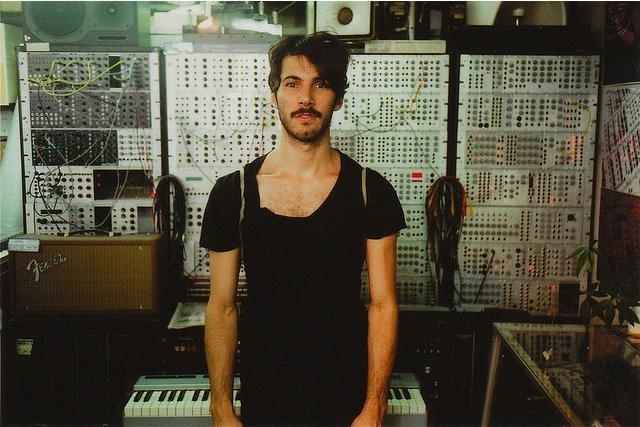 With his side project STARGATE, released on the Italian Hundebiss, with “Hexplore Superfluidity” and played extensively around Europe in 2013. Lorenzo Senni is also part of the power-trio One Circle along with Vaghe Stelle & A:RA. As founder of Presto!? Records, he has released albums by a number of internationally acclaimed artists including Florian Hecker, Carsten Holler, DJ Stingray, Carl Michael Von Hausswolff, Palmistry, Marcus Schmickler, just to name a few. He has composed music for Cinema, Theater and the soundtrack for last Yuri Ancarani award-winning movie “Da Vinci”, showed at 55th Venice Biennale – Best international short film ” @RIDM – Montreal – Award for Most Technically Innovative Film at ANN ARBOR FILM FESTIVAL 51st EDITION. He also wrote music for R’n’B singer Tom Krell aka How To Dress Well. has exhibited his work and carried out performances at Macba (Barcelona), Centre Pompidou (Paris), Casa da Musica (Porto), Auditorium Rai (Torino), Berghain (Berlin), SPACE (London), Gasconade (Milan), Zabludowicz Foundation (London), 1M3 (Lausanne), S.M.A.K. (Ghent), ICA (London).